Hi-flow backhand mesh for ventilation. Hook & loop wrist closure. 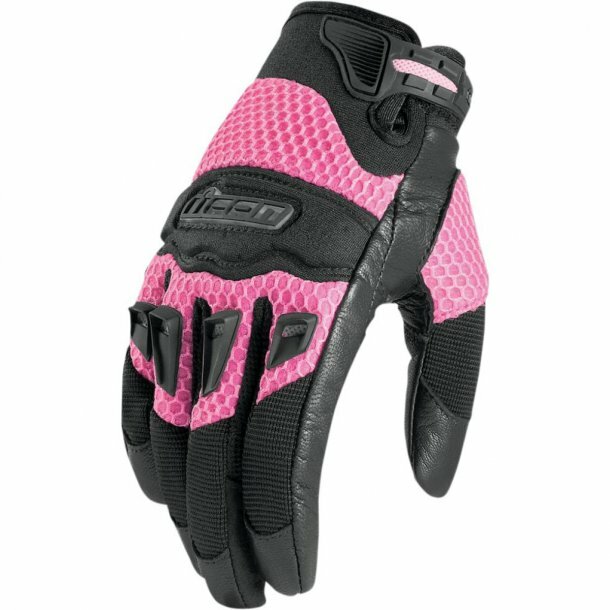 A standing tradition in ICON's line of MX inspired street-specific, lightweight riding gloves. All our standard performance amenities are here such as a pre-curved palm and finger design, thermoplastic rubber knuckle armor, and a secure wrist closure system. Of course a street motorcycle glove isn't really a glove without a leather palm. The Twenty-Niner glove features an abrasion resistant premium grade Battlehide™ goatskin palm capable of hand to hand combat with gravel choked asphalt. With its hi-flow mesh backhand the Twenty-Niner glove is perfect for spring and summer riding.